From one of the premier names in the cigar world, comes this unique Cohiba cigar sampler. A must have selection of fine Cohibas from across the various Cohiba cigar lines. From one of the premier names in the cigar world, comes this unique Cohiba cigar sampler. 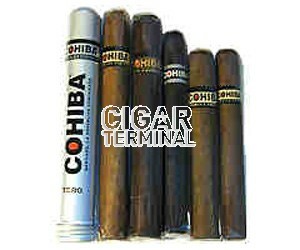 A must have selection of fine Cohibas from across the various Cohiba cigar lines. 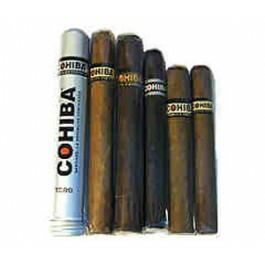 This cigar sampler includes one each of these Cohiba cigars: Cohiba Toro Tubo, Cohiba Black Corona, Cohiba 652, Cohiba Red Dot Robusto, Cohiba Lonsdale Grande, and one Cohiba Red Dot Corona.